The Young Women’s Leadership Academy (YWLA) is one of the so-called Schools of Choice in the Grand Prairie Independent School District. As a traditional, neighborhood-zoned middle school, it faced numerous problems—most notably declining enrollment and disengaged students. However, following its transformation into YWLA, it is bursting at the seams with over 1,100 students (and growing) and is the largest all-girls public school in the nation. This story of success is repeating itself across the schools in Grand Prairie ISD. Only six years ago, GPISD was coming to terms with over $15 million in revenue loss due to declining enrollment, attrition to charter schools, and less than desirable education outcomes. They were on the verge of closing schools. Through a series of bold moves, the district reinvented itself and today it’s a thriving school district with enrollment of 29,000 students. Many families are applying to transfer their children to one of GPISD’s Schools of Choice, each one offering a specific focus or specialized programs. These Schools of Choice now make up over half of the district. GPISD is clearly a case study in understanding resiliency in a school district. She spearheaded the change. She knew she had to keep the top half of the students from leaving the district, increase enrollment to prevent closing of schools, and provide engaging instruction for all students. She made it her mission to improve the educational outcomes and quality of life for everyone in the GPISD community. Today, GPISD is an open enrollment school district, which means that each family living in and out of GPISD can choose any school in the district based on a child’s interest. Choice gives the schools and the students focus as early as kindergarten and continues all the way to college and career pathways in high school. This model results in a rich diversity of programs designed to meet the specific needs and interests of each student, regardless of his or her zip code. 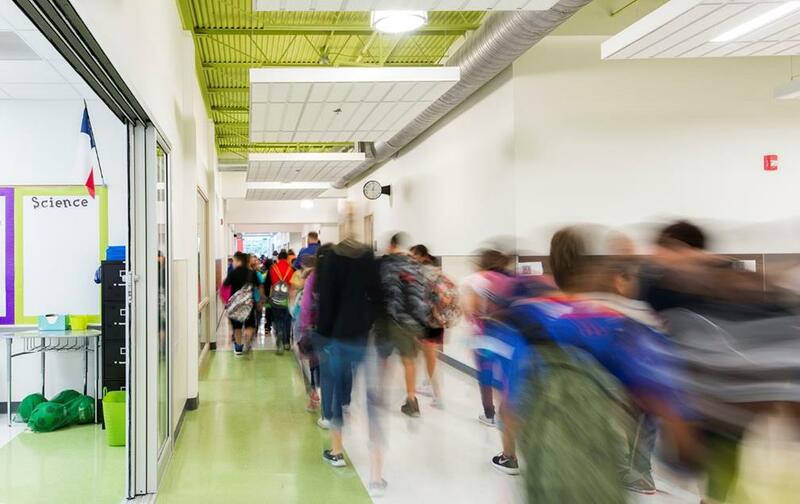 For some schools to transform their operational model, new construction and renovation of existing buildings is often required. 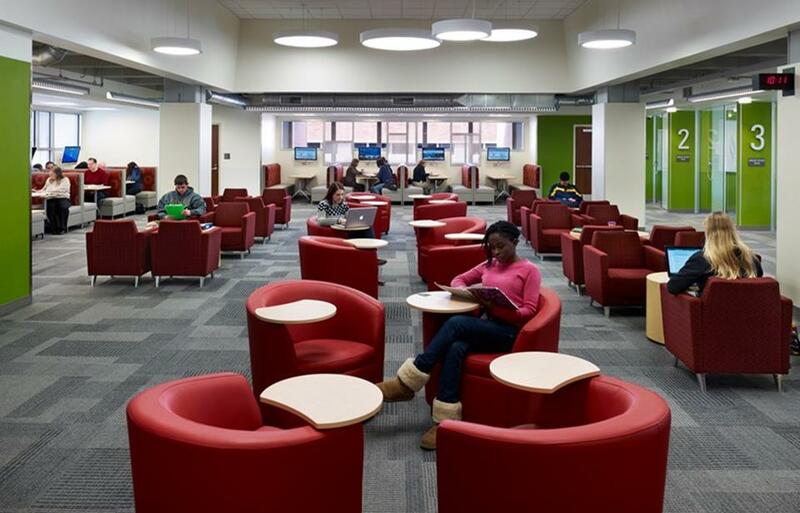 The district hired Stantec Architects and Planners to re-envision the spaces for the YWLA. Currently, YWLA is housed at Bill Arnold Middle School, a facility designed 15 years ago as a traditional “stand and deliver” model where the students moved from class to class and the teachers held all the information. However, according to Jennifer Oliver, principal of YWLA, “Information is abundant and learning can happen anywhere. We need to teach our young women to understand the information and take responsibility for their own learning.” The building is being designed to align with this vision of learning. YWLA is in the process of being re-envisioned to ensure its educational spaces allow for the successful implementation of its blended learning initiatives. For its high school students, this “flex” blended learning model is multimodal, combining self-paced, online learning with group project work, individual acceleration, and one-on-one/small group sessions with educators. This content-based, self-driven learning (rather than teacher-driven learning) is a first step for young women to craft their own future. The architecture of this School of Choice has to reflect the aspirations and the learning needs of the young women. The facility plays an important role in recruiting, retaining, and empowering their students and teachers alike. Vandana Nayak, AIA is an architect with Stantec Architecture.